04/22 QDM. ---°/---° .... 2,225 X 25 yds. Various Walrus aircraft made visits to Ratmalana from as early as 1940. Aircraft from this unit regularly called at Ratmalana on 'round robin' communication flights. Disembarked from HMS INDOMITABLE 14 Apr 1942 - re-embarked 24 Apr1942. Arrived from RNAS Dekheila 24.03.1942. Moved to RNAS China Bay 09.041942. Arrived from RNAS Dekheila 27.031942. Moved to RNAS Katukurunda 18.04.1942. Returned 22.04.1942, embarked INDOMITABLE the following day. Disembarked from HMS HERMES 31.05.1941. Moved to RNAS China Bay 18.061941. Disembarked from HMS HERMES 02.11.1941. Moved to RNAS China Bay 09.11.1941. Moved here from RNAS China Bay 05.02.1942, returned to China Bay following day. Moved here from RNAS China Bay 10.02.1942, returned to China Bay following day. Disembarked from HMS INDOMITABLE 10 - 16.02.1942. Detachment (?) operated ashore from HMS FORMIDABLE 23 - 24/04.1942 and 28-30.07.1942. 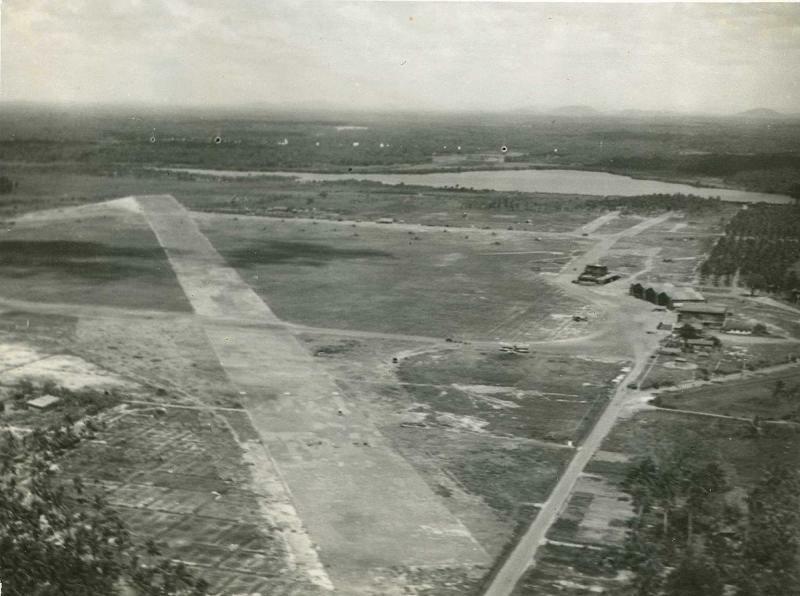 Ratmalana was a pre-war civilian aerodrome located 10 miles south of Colombo. The site was first used on November 27th 1935 with a grass landing area 600 yards square, when a de Havilland Puss Moth flown by Tyndalle Bisco, Chief Flying Instructor of the Madras Flying Club, was the first aircraft to land at the airfield. The formal opening of the Ratmalana as Colombo's Airport took place on 28th February 1938. A three story terminal building, several hangers and workshop facilities were added in 1939. Following the outbreak of the Second World War the airfield was occasionally used by units of the RAF and Fleet Air Arm; from as early as March 1940 Walrus L2171 was disembarked from HMAS HOBART to be camouflaged in accordance with Admiralty instructions, re-embarking on the 21st. Other Walrus aircraft from 700 squadron catapult flights used the airfield; L2208 from HMS Glasgow crashed on landing at Ratmalana, on December 16 1941 and was written off. It is possible that there was a small stock of Walrus aircraft held at Ratmalana, records show that some were issued to catapult flights; L2322 was issued to HMAS AUSTRALIA from RN Ratmalana on November 18th 1940, and L2264 issued to 700 Squadron in HMS SHROPSHIRE April 22nd 1942. Before the Spring of 1942 the RAF had only maintained a refuelling party on the airfield, supporting aircraft in transit to other stations. When it became clear that Japanese forces posed an immanent threat to bases Ceylon the field was requisitioned to form part of the air defences for Colombo and opened as RAF Ratmalana on March 1st 1942 when 258 Squadron RAF was reformed from G Squadrons Hurricanes. They were followed by the arrival of 30 Squadron RAF on March 6th flying in 26 Hurricanes which had been ferried aboard HMS INDOMITABLE. 880 squadron's 9 Sea Hurricanes also disembarked from HMS INDOMITABLE on the 10th before re-embarking on the 18th. Towards the end of March two new squadrons arrived for service in Fleet Carriers of the Eastern Fleet, 803 and 806; both were equipped with 12 Fulmar IIs and had been assembled at RNAS Dekhelia, Egypt before flying overland to Ceylon. 803 arrived on March 24th for service in HMS FORMIDABLE while 806 arrived on March 27th for service in HMS INDOMITABLE. On Easter Sunday, 5 April 1942 Ratmalana and Colombo came under air attack by carrier-based aircraft of the Imperial Japanese Navy. 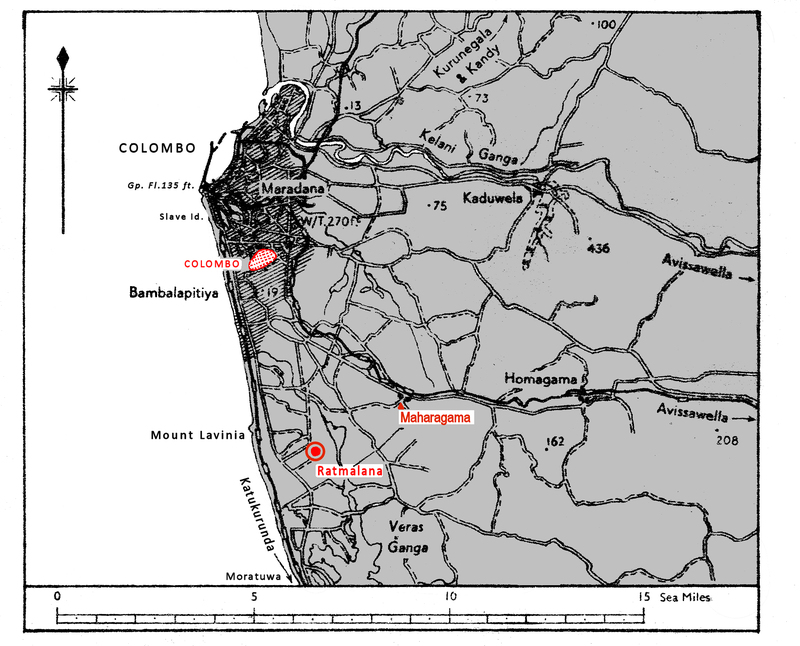 The air defence of Colombo comprised of only 42 fighter aircraft, the bilk of them stationed at Ratmalana where RAF's Nos.30 and 258 got thirty-six Hurricanes into the air, losing fifteen of them during the fighting. The RN's 803 and 806 Squadrons were still 'working up' and due to unserviceable aircraft could only muster six Fulmars between them. A further 14 Hurricanes of 258 Squadron RAF were located at the improvised strip at Colombo racetrack, which was not known to the Japanese and so avoided attack. At the end of that day 30 Squadron had only 7 serviceable aircraft out of 22 available at the start of the day, 5 pilots had been killed in action and 2 injured for enemy planes shot down, seven 'probable' and five damaged. The RN lost four aircraft (X8569, X8640, DR705, and DR729 )and three pilots killed; one Japanese plane, an A6M(? )was shot down. The remnants of 803 squadron moved to RNAS China Bay on April 9th to regroup. Their place was taken bay the Fulmars 800 squadron which disembarked from HMS INDOMITABLE on April 14th for a ten day stay. 806 flew to RNAS Katukurunda on the 18th, returning on the 22nd, and embarked HMS INDOMITABLE the following duty.. A detachment of Martlet single seat fighters of 888 operated ashore from HMS FORMIDABLE 23 - 24 April and were followed on the 28th by 818 squadron which also disembarked from HMS FORMIDABLE with 12 Swordfish. They moved to RNAS Katukurunda on May 9th. There were no naval squadrons on the station until July when the Martlet detachment form I FORMIDABLE 's888 operated ashore28-30th. 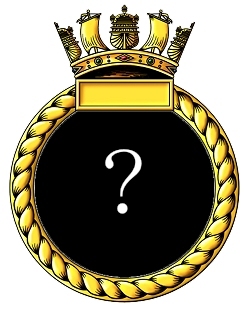 There is no recorded use of the Station by the Fleet Air Arm during the second half of 1942 nor through 1943 - it was not until October 1944 that disembarked squadrons returned to Ratmalana when 851 squadron disembarked from HMS SHAH the 19th with 12 Avengers & 3(?) Wildcats, They stayed until November 18th before moving to RAF Vavuyina. 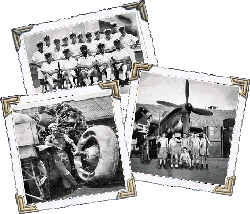 A Fleet Air Arm personnel Transit Camp opened as early as April 1944 with its accounts held on the books of 'BERHUNDA' - RNAS Colombo Racecourse, before it commissioned as an independent command as HMS SERUWA on May 1st 1945. The site housed personnel arriving from the UK for service in the East Indies, and later British Pacific Fleet, and men awaiting drafts. After the Japanese surrender the camp housed men returning from front line units awaiting passage to the UK for demobilisation. To this end part of the site was used as RAF No. 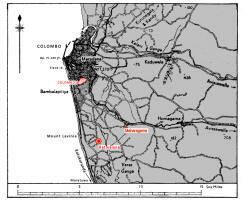 8 Personnel Transit Centre, Ratmalana between Feb.-June 1946. HMS SERUWA paid off on September 25th 1946. It is assumed the station was returned to RAF custody on this date. Note: There is reference to Ratmalana being a Royal Navy Air Yard but no records seem to exist to support this, RAF Station Ratmalana closed in October 1945 so it is possible that the station was earmarked for transfer to the RN for use as an Air Yard after this date. 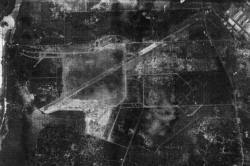 Aerial view of the airfield, date not known.